The Perform a + program is part of the continuous education and communication platform that Antibiotice develops with educational institutions in areas of research, pharmaceutical marketing, professional orientation and responsibility towards patients, the environment and society. 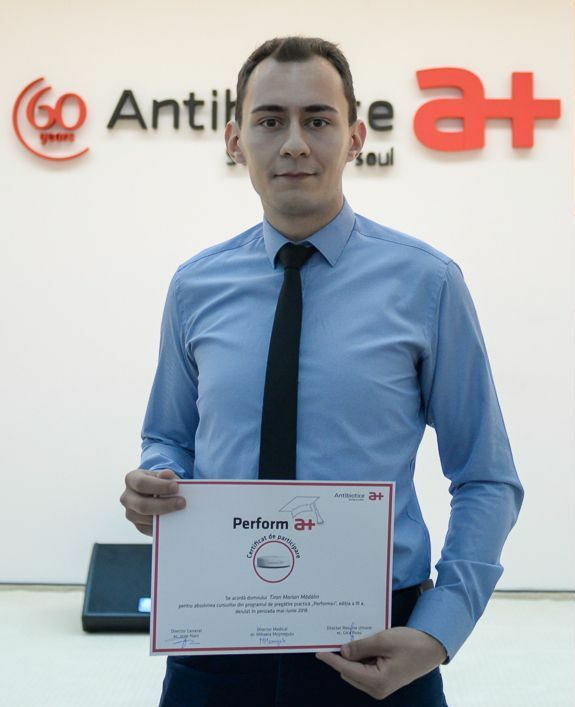 Initiated in 2016 in partnership with “Grigore T. Popa” University of Medicine and Pharmacy Iasi, the project “Perform a +” aims to promote and innovate to the graduates / graduates (residents, PhD students) the passion for the pharmaceutical industry and the activities involving a career in the field . At the same time, the project offers the possibility of completing the knowledge acquired during the academic years, with theoretical and practical sessions, supported by appointed mentors among the employees of the company. 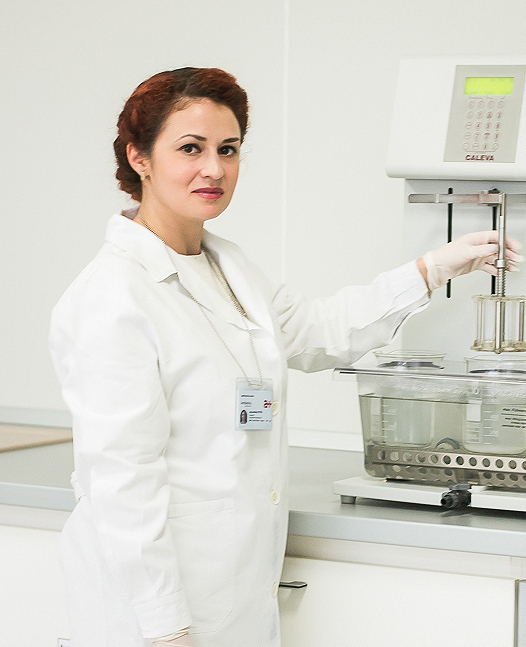 The integration and application of acquired knowledge materializes at the end of the courses in the presentation, in front of colleagues and representatives of the company, of an individual scientific project that highlights the knowledge, passion and inventiveness of young aspirants in a pharmaceutical career. After the first three editions, Perform a + remains an opportunity to know directly the activities involved in the drug development process and a project that testifies the company’s desire to provoke the scientific interest of the current generation of young people for pharmaceutical research. The results obtained after the evaluation are the basis of selection for the completion of Antibiotice’s team of specialists. • 40 pharmacist students graduated from the program. The “Perform a +” project was awarded the EduManager Gala 2017 and received the Excellent Diploma for the results. “I think the most valuable thing I have left behind this project is that I could see the equipment and the laboratory equipment used in various technological processes that I learned only the theoreticians in college.